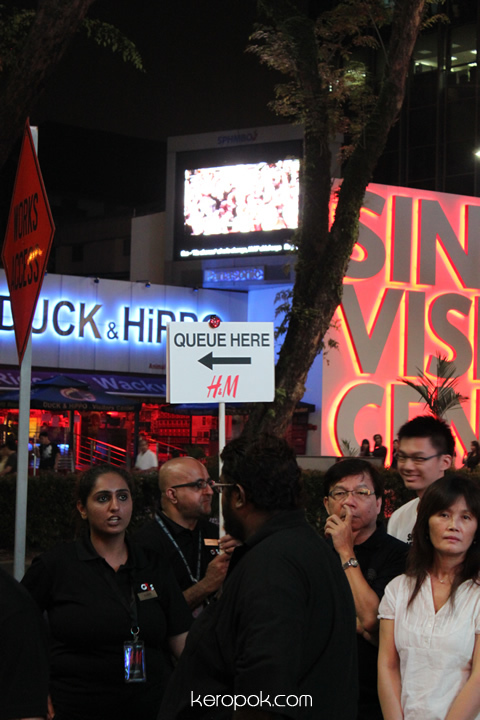 'Boring' Singapore City Photo: H&M Singapore First Day Queue. Brilliant marketing! The people behind it must be really brilliant indeed. You heard of the phrase "selling igloos to Eskimos", well these folks are selling Autumn wear in sunny 'forever summer' Singapore! Look at the people queuing to get into the store! This was taken Saturday afternoon, and there was still a snaking queue of people waiting to get in. 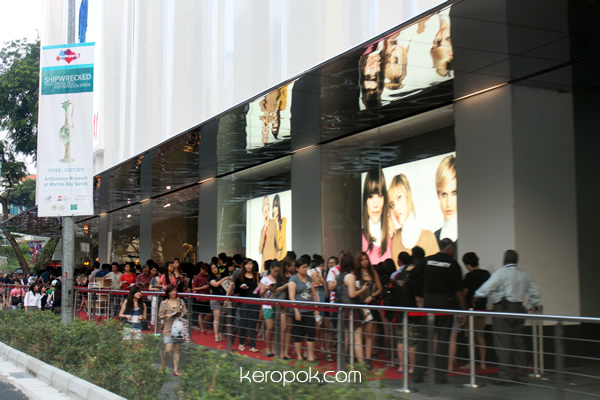 To start the queue forming, they offered the first few people $250 vouchers and subsequent few $25 vouchers. Read that people started to queue the night before! At around 9 pm the same night, people were still queuing! 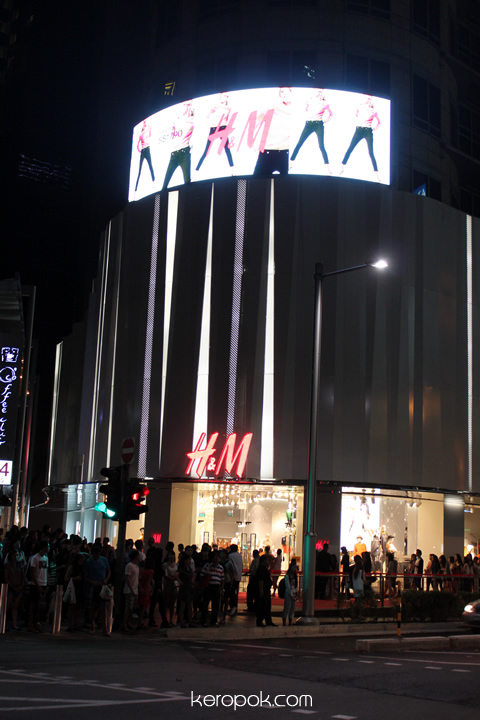 But I heard from folks that things are really cheap inside, some say they were even cheaper than the HK store, the nearest H&M branch to Singapore. Is that true? Maybe in the next few months I will get in, when it's not so crowded. I have visited H&M in many countries and have always walked out empty handed. I realised they don't fit me. Maybe the sizes in Singapore might? 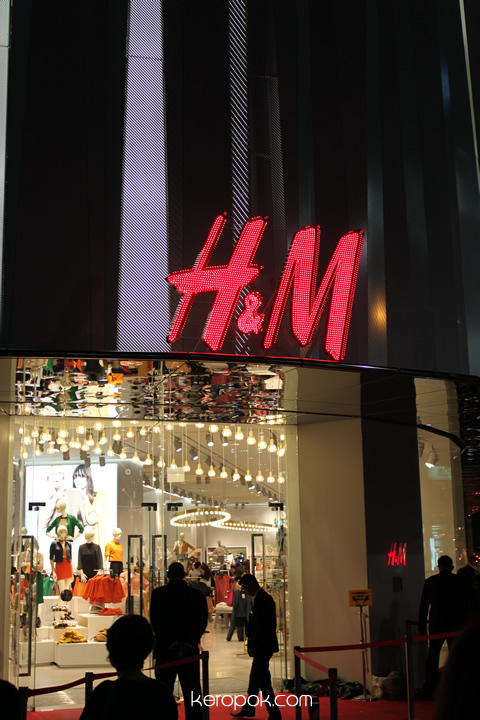 H&M on the first day could had stand for Herd Mentality. Everyone was just wanting to do in. Guess what? Another great marketing tactic. If you have queued so long to go in, you 'die die' have to buy something before coming out right? So clever of them!